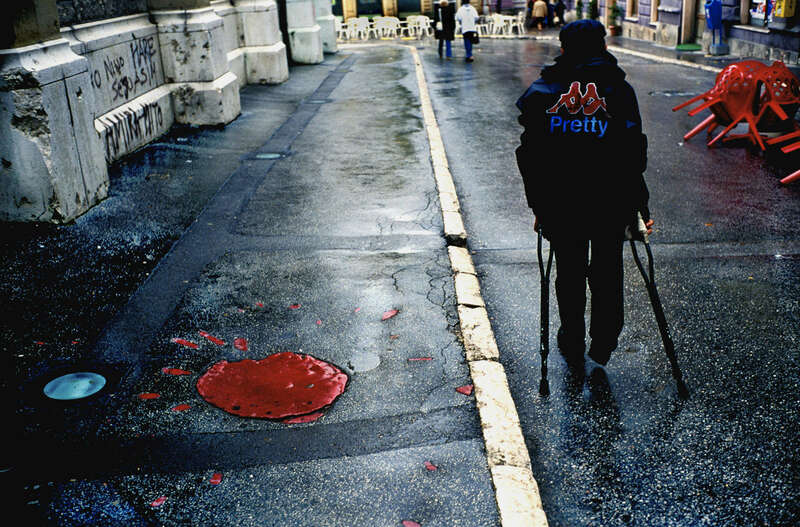 At left is a \"rose\" of Sarajevo, which marks one of the mortar blasts fired at the city by Serb forces. Mortar blasts leave a pattern that looks like a flower; after the war, blasts that killed large numbers of people were filled in with red as a commemoration to those who died. September, 2002.